Arguing to win, or arguing to learn? Jack and I met in 1982 when we both arrived as freshmen at an engineering school in Pittsburgh. The school assigned us to the same floor of the freshmen male dormitory, a hulking bunker of a building that smelled perpetually of college-boy sweat and marijuana. Though Jack and I lived at opposite ends of the crowded floor, we slowly gravitated into each other’s company, in the manner of shy young men sorting themselves out from their more socially aggressive peers. But for all his bashful, Mayberry-esque personality, Jack converted me to the pro-life cause. Other than our shared social handicaps at parties, Jack and I differed sharply. I was proud of my leftist credentials: My first political memory was of being mocked at the bus stop in third grade because my parents supported the presidential campaign of Senator George McGovern and amnesty for draft-dodgers. Though I attended a Presbyterian church, I often described myself as a skeptic, and turned my religious musings toward the likes of New Age spirituality. I subscribed to my mother’s activist feminism, and presumed it included a pro-choice political stance. Early in 1982, while still in high school, I had marched in large demonstrations supporting the United Nations Second Special Session on Nuclear Disarmament in New York City. Jack’s origins inclined him instead toward the political right. He’d grown up in central Pennsylvania, the son of the general who would later put down the 1992 Los Angeles riots. He professed himself a devout Christian, with the chaste intention to marry his high-school sweetheart once they finished their respective studies. Jack came to college with tuition, room, board, and stipend all paid for by the Reserve Officer Training Corps. Acquaintances likely never expected Jack to convert anyone to anything. He didn’t argue much, except perhaps over some harmless details of science fiction movies or “Dungeons & Dragons” games. He hated to hurt others’ feelings. I, however, delighted in intellectual bullying. I harangued Jack about his affiliation with the military. I boasted of my superior compassion for the needy (though Jack likely spent more time than I did volunteering at the local soup kitchen). I complained loudly of Christians who elevated their Biblicism above any substantive spiritual encounter, even with the Lord Jesus. In hindsight, I realize there are arguments I could have proffered about what it means to be a baby or deserve to live, but I was not as clever as I imagined back then. Jack’s response didn’t afford me a sporting argument. It seemed at the time merely to assert an opinion at odds with all my pro-choice suppositions. So I simply moved on to other topics. But I didn’t forget. “That’s a baby, and it deserves to live.” I knew Jack as an open-minded man, unusually receptive to my leftist posturing, and I noted the contrast with his mind apparently closed to abortion. Later, when Jack resigned his ROTC scholarship in order to honor his increasing appreciation for non-violence, I was awed by the heavy sacrifice he made for his maturing faith. The disturbing suspicion dawned that Jack’s integrity surpassed my own, though I then fancied myself to be what is now called “woke.” When Jack persevered in chastity to graduation and the long-awaited wedding, I could no longer dismiss his pro-life commitments as naïveté. I didn’t surrender in an instant. Toward the end of my college years, I had entered the Catholic Church, but the sister who instructed me had wisely passed over my political opinions without inquiry or judgment. Over the next three years, I read through bits of Christian, especially Catholic thought. Though my reading included prominent left-leaning Catholics, I judged that the prolifers made a better case. I do not argue that arguments don’t matter. On the contrary, arguments carried me across the finish line of becoming pro-life. They have held me here nearly thirty years, though of course I’ve changed—I like to think “matured”—in how I shape my moral and political engagement on a pro-life basis. But the arguments didn’t really matter to me until I asked for them with an open mind. As a late teen I wanted arguments, but only on my terms, as stones against which to sharpen my intellect and refine my pro-choice rhetoric. So for me Jack, not the argumentation, was the hinge. My encounters with him opened my otherwise closed, pro-choice mind. Jack was vocally, but not argumentatively, pro-life. He was a man of humility insofar as he took my moral challenges without rebuking my obvious arrogance. And he was a man of integrity, who set an example by making sacrifices in accord with his own religious maturation. It was a hard lesson. I deploy arguments quickly and well, and I’d like to rely on them. But the character of the person behind the argument mattered more to me than the logic. I suspect that’s true for many. So go ahead and refine your arguments. But before you deploy them, ask yourself: Does my interlocutor wish to argue? And if so, is it for the sake of answers, or for the sake of argument? Otherwise, perhaps the arguments are premature. Instead, simply be pro-life—vocally, but without argument. 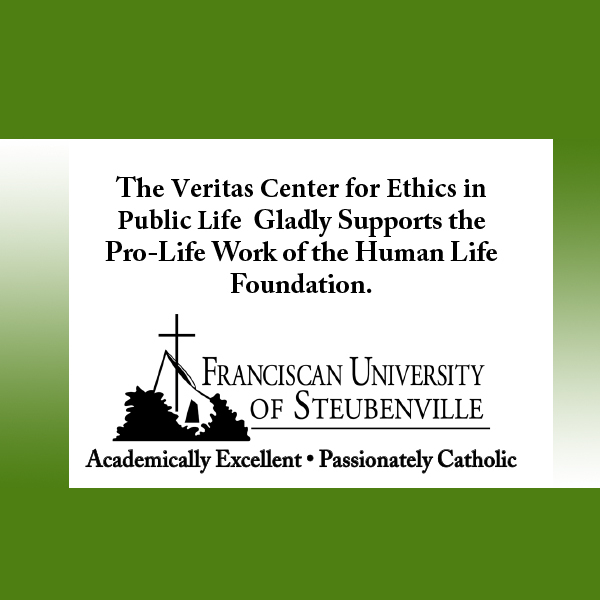 Be pro-life with firm commitment, but with the same humility we hope to find in our interlocutors. And be pro-life with integrity, the same integrity we hope to see among those who make grave sacrifices in order not to take the life of an unborn child. 1,591 people have visited this page. 1 have visited this page today. Lovely story of a powerful witness. As one who knew both you and Jack, I can attest that his quiet, humble, yet firm witness was more likely to be accompanied by “aw shucks” than soaring arguments. But it was powerful nonetheless. I still have much to learn from it. I loved this story as I am married to a “Jack” and I count my blessings every day! Thank you for sharing.